Windows 7 is packed with built-in tools such as partition Backup and Restore utility, Windows defender, Recovery options and so on to help you protect your files and your system. Aside from those features, don’t you know that Windows 7 has drive-locker apps called BitLocker? 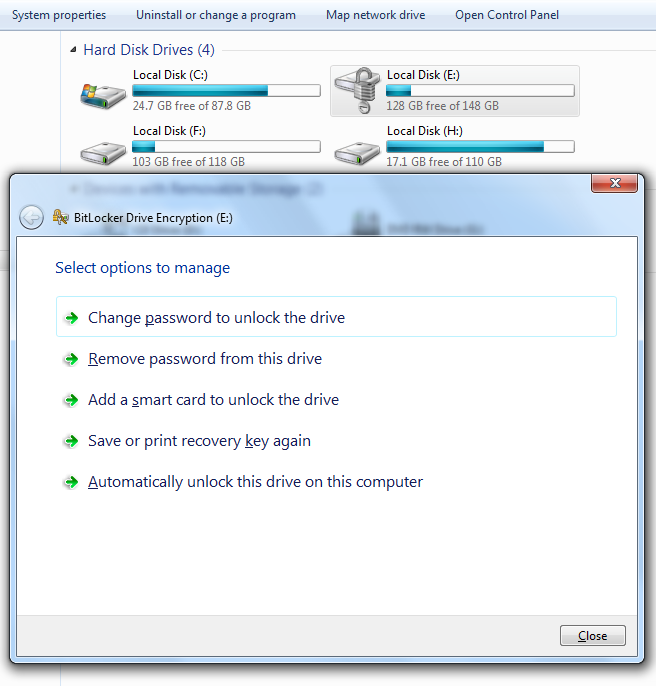 BitLocker is pre-installed drive encryption software in your Windows 7 PC. BitLocker was first introduced in Vista but not as easy to setup like what have in Windows 7. BitLocker helps to protect your local drives by allowing you to put a password on it to avoid unauthorized access on your confidential files. BitLocker works on your local Windows drives or for USB Drives. So, whenever you misplaced your portable storage and external drives you won’t fret because it is safely lockdown. BitLocker does not only protect you against hackers but as well data loss.